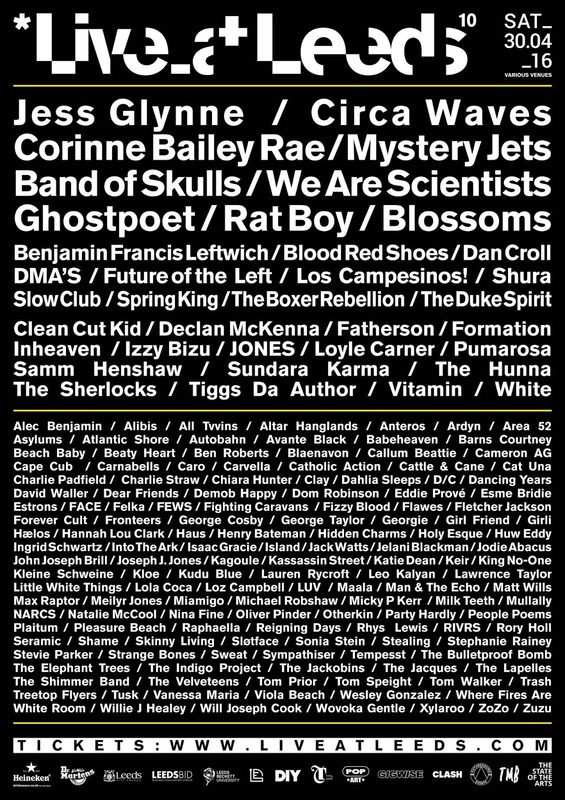 Live At Leeds is without a doubt my absolute FAVOURITE day of the year. Generally, and I'm sure you'll all agree, the best thing about a music festival is that carefree attitude we all take on when we're attending them... it's a real joy not having to worry about anything except for which band you're seeing next, and where. Pure unadulterated BLISS! I'm particularly fond of L.A.L because not only does it always have the most incredible line up but also because it also helps to bring attention to the AMAZING venues scattered around the city- and there are just so many of them! 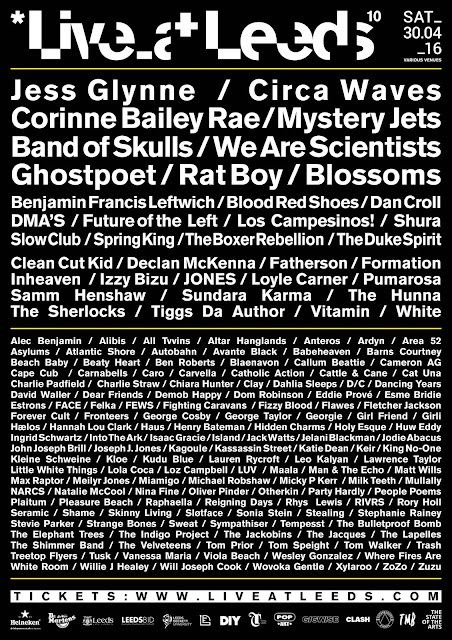 Most of them are within walking distance of one another too, so the fact that this festival isn't hosted by just a single venue really isn't a problem. I suppose the only issue is the fact that there just isn't enough hours in the day, and unavoidably some of the bands clash. I missed out on seeing a fair few of my favourites because they were timed to be on at the same time as somebody else, which was disappointing, but I still had the most fantastic time. 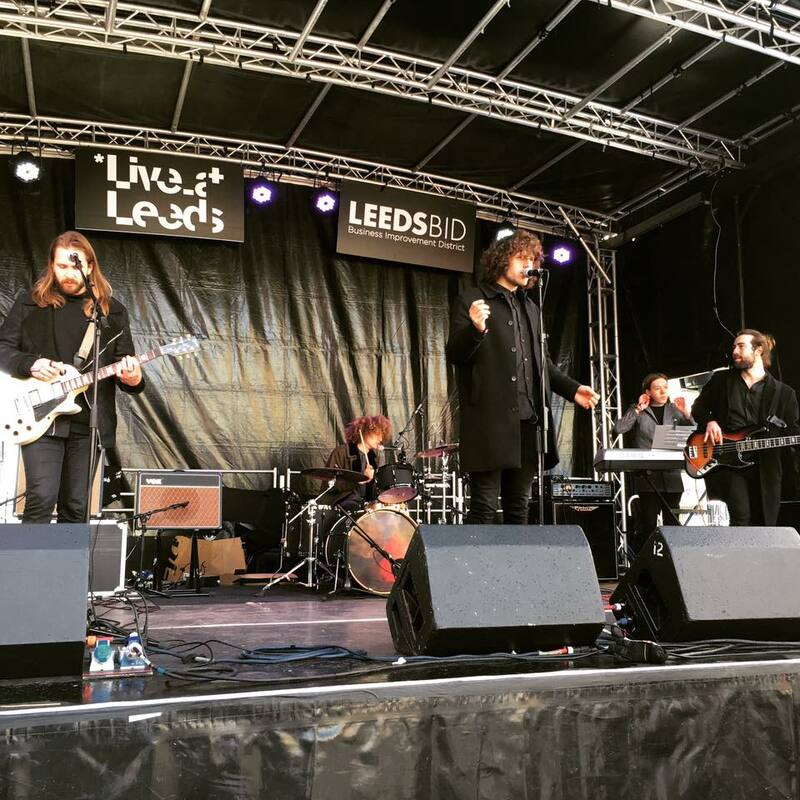 For the first time in it's 10 year history, Live At Leeds had added a (free entry) Briggate Stage. Located in the very heart of the city, it was a lot of fun to see the live music outdoors and also interesting to see the bands catching the attention of not only their fans who had purposely come out to see them but also passers by. It was definitely a great idea introducing this stage, and I hope they bring it back next year too. 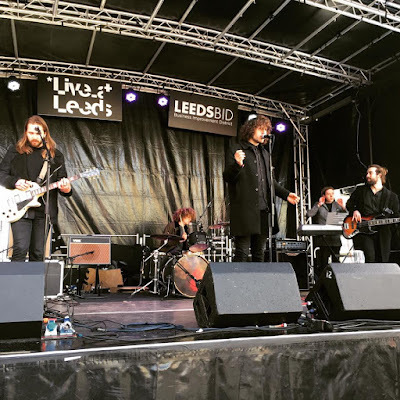 My day started here just after noon with the fantastic Glass Caves, who I recently reviewed when they played at Brudenell Social Club a few weeks ago. You can read that here. As always, they put on a thoroughly entertaining show and I felt that this set was quite experimental for them, as it consistered almost entirely of new tracks with only a single well known album track 'Out Of Control' added in towards the end. It was a performance packed full of humour courtesy of frontman Matthew Hallas... and a marching brass band who decided to cut through Briggate between tracks half way through the set! 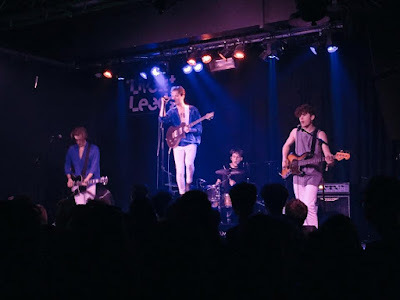 I found myself smiling throughout, and I really enjoyed hearing their new songs which I'm now becoming somewhat familiar with after having heard them entwined in their set at recent live shows. My second band of the day was York based King No-One at Belgrave Music Hall. I have nothing but praise for these guys, having met and seen them live a number of times now. 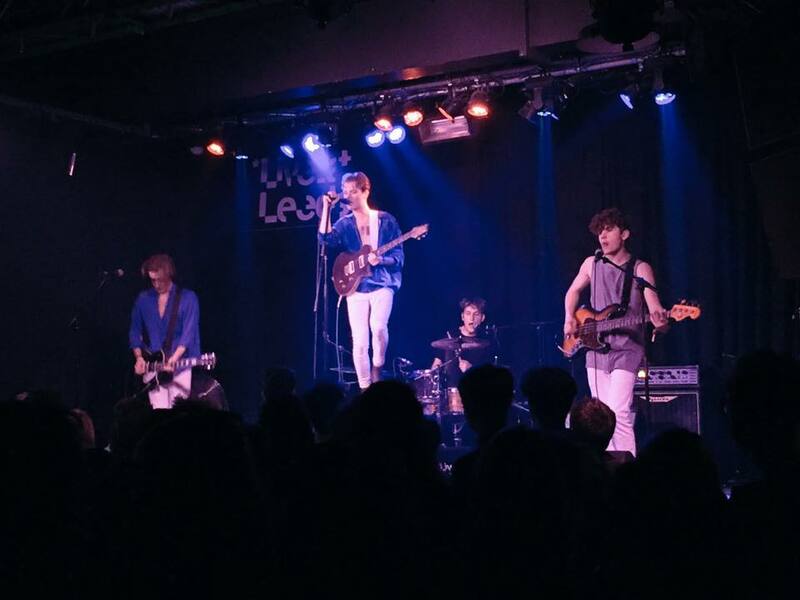 They have a fantastic work ethic and can often be seen busking on the streets of both York and Leeds, proving their dedication to their art and undoubtedly pulling in lots of new fans along the way. They have a strong fanbase, and I'm told the venue was at capacity before the band even begun their set. It was great as always to hear more well known tracks such as Constellations, Foreign Tongue and their most recent releases, Stay Close & Say My Name- but the most exciting part of the set was undoubtedly new track, Halo. It's always been my opinion that this band have HUGE commercial potential. They're talented, enthusiastic performers who work well together and have the ability to create and aptly perform some of the catchiest indie/pop orientated tunes I've ever heard in my life. They have a way of producing the most memorable choruses that stick in your head, and when performed live you can't help but have a dance and sing along. 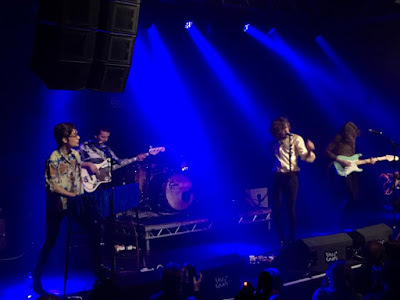 Carnabells opened the Leeds University Union Stylus stage at 5pm, and as per, completely blew me away with a shimmering, blissful set filled with their usual helping of feelgood, unforgettable anthems. I've already touched on their new music in a previous write up which can be found here. They're an absolute joy to watch and it was great to see so many people dancing and reacting so positively to a set that was mostly made up of songs that perhaps many of them had not heard before. It's so wonderful to see them growing as a band in terms of both their performance and their overall sound and image. This is a band incredibly well suited to the festival environment, and with an ever increasing fanbase I think it's safe to say we'll be seeing them filling headline slots in the years to come.